I always wanted to try the cakes from Starbucks. Then one Friday I had a chance to order one when my friend Donna is celebrating her birthday. She was so kj that she don't want any cake. So I just ordered one for myself He He He. 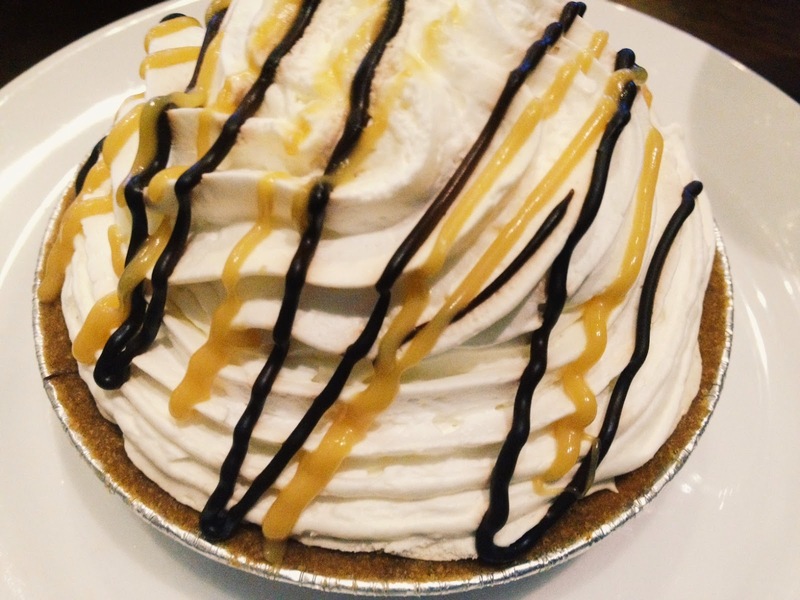 Banoffee Pie is is an English dessert pie made from bananas, cream and toffee from boiled condensed milk (or dulce de leche), either on a pastry base or one made from crumbled biscuits and butter. Some versions of the recipe also include chocolate, coffee or both. This is my first time to taste a Banoffee Pie so I don't have anything to compare it with. 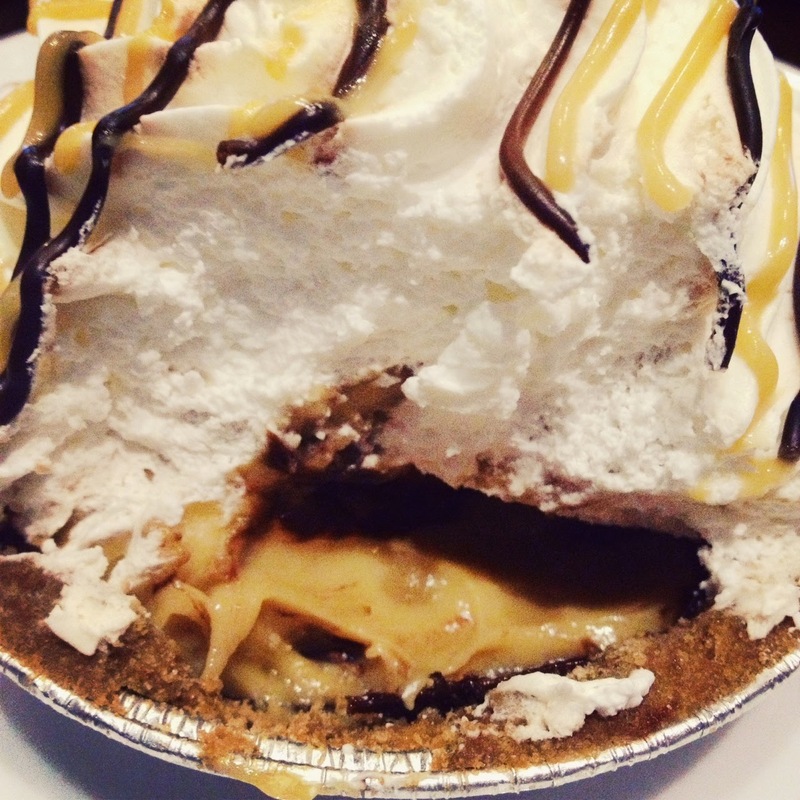 Starbuck's Banoffee Pie consists of biscuits crust and banana fillings topped with cream and drizzled with toffee. The banana fillings are just right. Not too sweet and have a generous amount of whipped cream and chocolate syrup. It's not too big but I was full when I ate just half of it.